SPRINGFIELD – Critical dollars may soon keep youth employment and after-school programs open for at-risk youth, hot meals at the doorsteps of seniors and timely breast and cervical cancer screenings available for women and men. Today, State Senators Mattie Hunter and Donne Trotter backed a bipartisan funding proposal to restore the state’s critical social services. "Keeping our social safety net intact will help residents in needs find the services that keep them healthy, safe and for many youth, off of the streets," said Hunter, a member of the Senate Human Services and Public Health committees. "These critical dollars will help prevent our youth from entering the criminal justice system by creating educational and occupational opportunities for them." 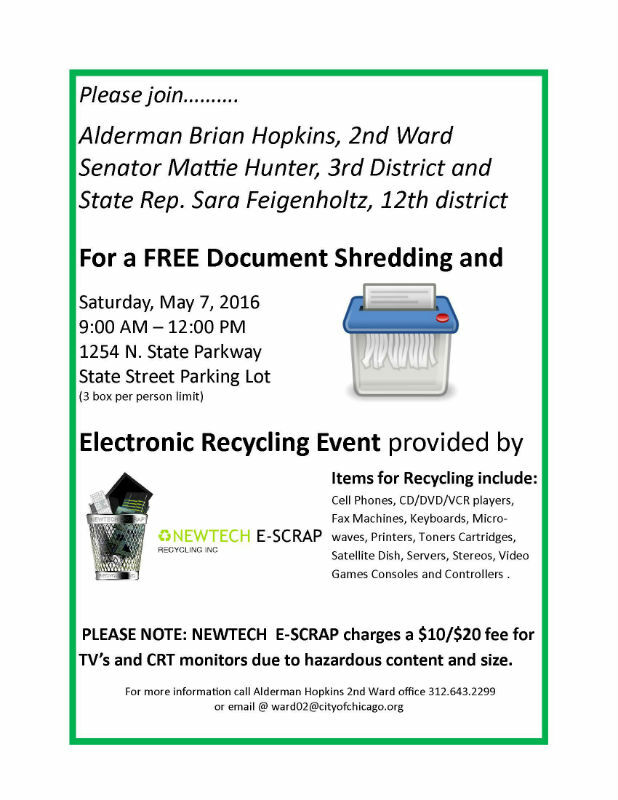 CHICAGO - In efforts to reduce identity theft, Chicago elected officials are hosting a free document shredding and electronic recycling event from 9 a.m. to noon on Saturday, May 7 at 1254 N. State Parkway on the State Street parking lot. Ald. Brian Hopkins, state Sen. Mattie Hunter and state Rep. Sara Feigenholtz are teaming with NewTech E-Scrap Recycling to help residents safely discard important documents and old electronics. Attendees can bring up to three boxes worth of materials to discard. SPRINGFIELD – Youth relying on after-school, employment and violence prevention programs are one step closer to having their needs met thanks to legislation that passed out of the Senate today. 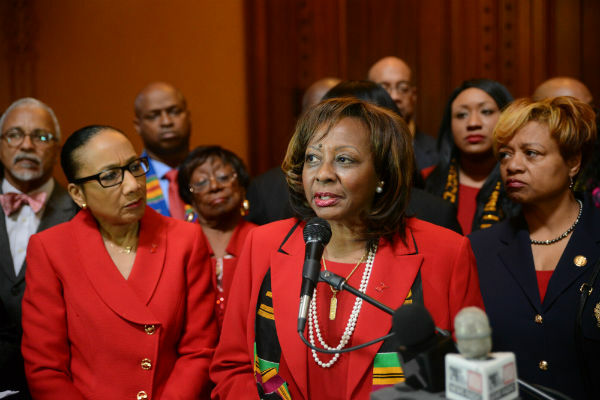 Sen. Mattie Hunter of Chicago voted in favor of a budget plan to fund youth-targeted programs and reduce violence. "Keeping our after-school programs and pipelines to employment open for teens keeps them off of the street," said Hunter, a member of the Senate Human Services Committee. 'Illinois' youth can no longer be used a bargaining chips in distracting debate over the governor's turnaround agenda. In Chicago, having a safe place to go and access to jobs is a matter of life and death for too many of our young people." 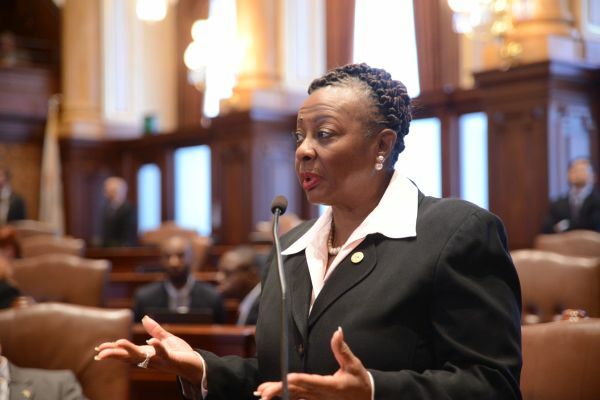 SPRINGFIELD - State Senator Mattie Hunter passed legislation in the Illinois Senate to extend the time former offenders have to restore their lives. "People who have served time and corrected their wrongs shouldn't have only a month to restart their lives. 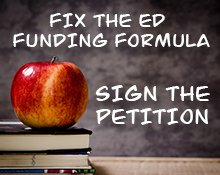 This bill makes it easier for people to get back on their feet," said Hunter (D-Chicago). Many formerly convicted residents face a short 30-day window to find housing, transportation and employment. Former convictions often can lock people out of housing and job opportunities.